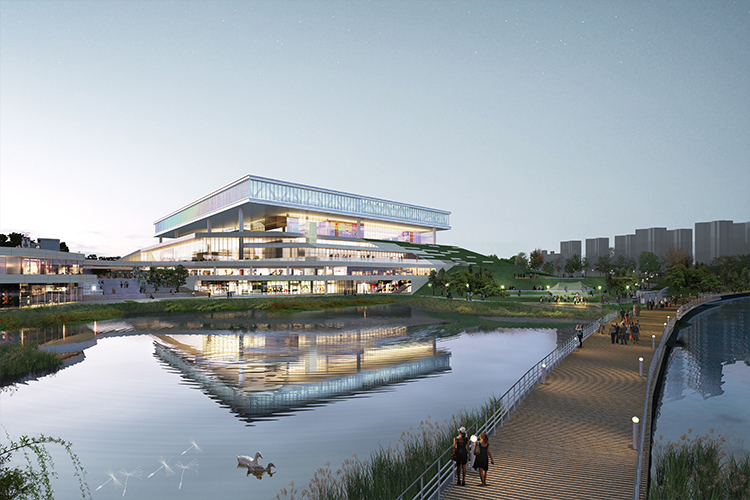 Korea is set to unveil Suwon Convention Center (SCC), on March 29. Suwon Convention Center is expected to take its place as a hub for MICE Industry in the Southern Gyeonggi area and turn the city of Suwon into a competitive platform for MICE Industry. Suwon, the capital and largest city of Gyeonggi-do province, makes for an ideal MICE Industry platform, as it is only about an hour away from Seoul by public transit, and home to two UNESCO World Heritage sites – Suwon Hwaseong Fortress and Hwaseong Haenggung Palace. The city is known as a major education and business center, with 11 universities and multiple international business corporations, including Samsung. Suwon Convention Center is comprised of a seven story convention building and plaza, which includes outstanding surrounding infrastructure. The seven floors of the convention building include two underground and five above ground floors, which house a total of 28 meeting rooms. The central space of the building is its first floor main exhibition hall, which, at 7800 square meters, is larger than the Suwon Athletic Complex soccer field. Just outside the convention building is ‘Sky Park’, where visitors can relax and enjoy a view of Gwanggyo Lake Park. There are plans to turn part of the convention center into a MICE complex which includes a 5-star hotel, gallery, department store, and entertainment facilities. In preparation for opening day, SCC is holding a Completion Ceremony on the 29th of this month. The Completion Ceremony is open to the public and marks the official opening of the convention center. The program includes a ribbon cutting ceremony, tour of the convention center, and musical performances by Korean artists PSY, Jessie, Jo Sungmo, as well as the Suwon City Choir.